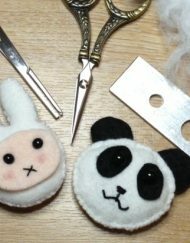 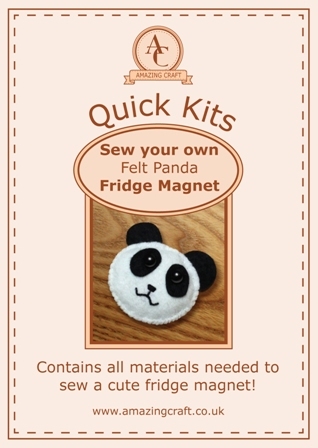 The Amazing Craft Sew your own Felt Panda Fridge Magnet Quick Kit contains all of the materials needed to hand sew a cute panda fridge magnet. The Amazing Craft Sew your own Felt Panda Fridge Magnet Quick Kit contains all of the materials needed to hand sew a cute panda fridge magnet. 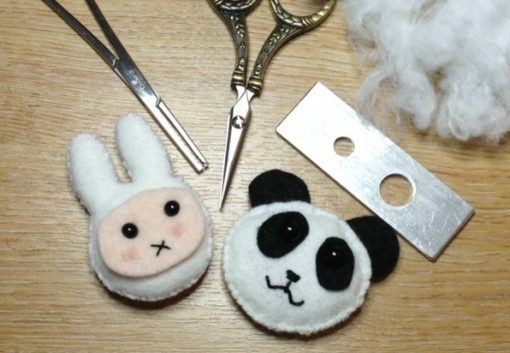 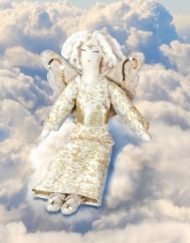 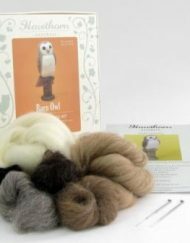 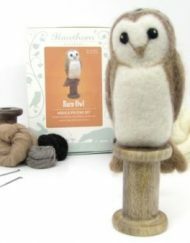 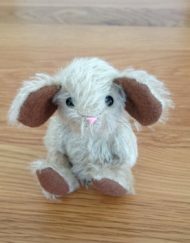 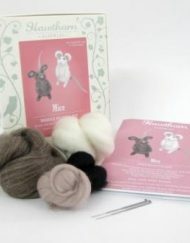 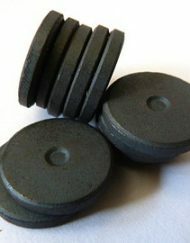 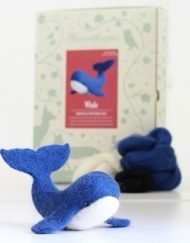 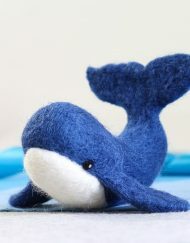 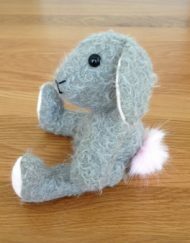 The materials include 30% wool felt (a quality felt containing 30% wool), safety eyes, stuffing, magnet, threads and a needle. 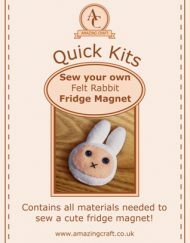 The instructions take you through, step by step, how to make this charming and handy little magnet (it also makes a wonderful gift either as a craft kit or as a finished magnet). 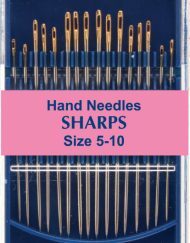 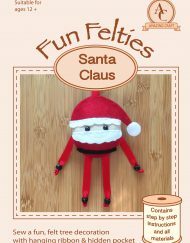 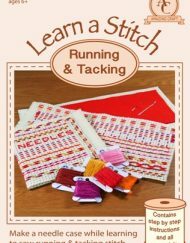 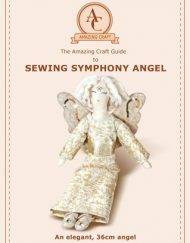 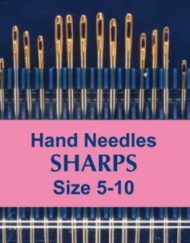 This kit is made primarily using whip stitch with a little running stitch too (there is a simple guide to both of the stitches in the kit). 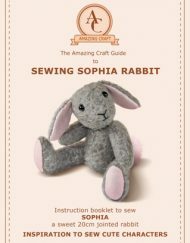 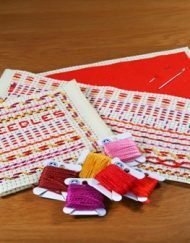 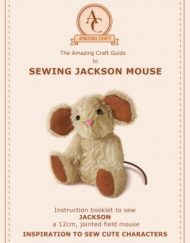 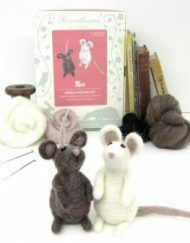 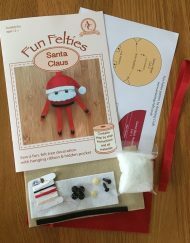 Designed and put together in Dorset, the Amazing Craft Quick Kits have been designed to be made in around one hour and contain quality materials and clear instructions.
. To complete this project the maker will need to be able to use scissors and sew whip stitch and running stitch.